Did you know Pembroke library users have access to over 650,000 biographies online? The database Biography in Context includes authoritative videos, primary sources, magazine articles, and more! 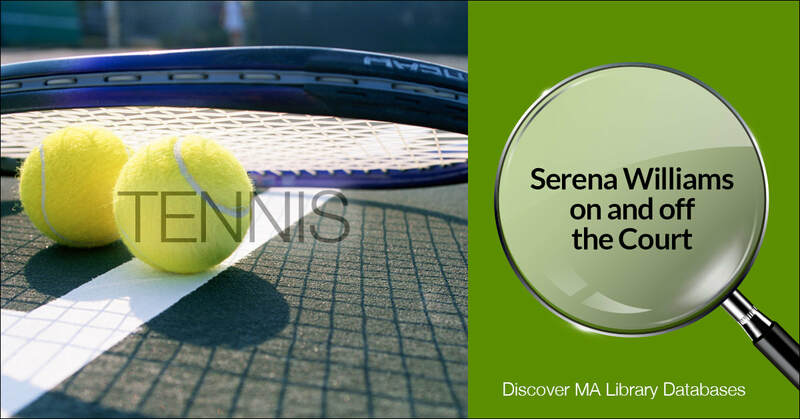 Perfect for your research paper or to learn more about a favorite athlete... like Serena Williams! Access the elementary, middle, and high school levels of the online encyclopedia Britannica. Cross-curricular articles are available at multiple reading levels in science, history, and more! Encyclopedia articles, videos, images, and more for middle school students. Encyclopedia articles, videos, images, and more for high school students. For one place to start your research. Funded by the Massachusetts Board of Library Commissioners. The trivia game that actually wants you to use Google. Build your research prowess and problem-solving skills by finding weird and cool facts to answer each new question. You can even track your scores and share your achievements. Looking for a different topic? The Library has over 50 databases available for patrons. Click over to our Resources A-Z page or our list of Resources by Subject to dive into your research. No matter your age or level, there are many coding courses available online with Code.org where students can learn coding with the help of online instructions and games. You can begin anytime by visiting Code Studio or Hour of Code. To save your progress, you can create a free account; you just need an email (and the permission of a grown-up, if relevant). Great starting point for research; it provides "history, people, government, economy, geography, communications, transportation, military, and transnational issues for 267 world entities." History from ancient to modern, with games, multimedia animations, and timelines. Discover the historical significance of today, yesterday, and tomorrow! ​from the League of Women Voters of Massachusetts, a non-partisan organization dedicated to encouraging the active and informed participation of citizens in their government. Learn math the sneaky way with online games. Plus is a free online magazine hosted by the University of Cambridge which aims to introduce readers to the beauty and the practical applications of mathematics. Plus provides puzzles, articles, and podcasts on any aspect of mathematics. Gain understanding and self-confidence in algebra and trigonometry using the study modules offered by Purplemath. Ever wonder how erasers erase? Or what's inside a car engine? This site explores concepts, inventions, and nature, explaining How Stuff Works in an easy-to-understand and fun way. The National Aeronautics and Space Administration presents interactive apps and projects for young astronomers with features such as "Tonight's Night Sky," competitions, and the latest news. Find out ways to stay healthy and find answers to your questions. This site features fitness tips, recipes, FAQs, Hot Topics, and more for curious teens. 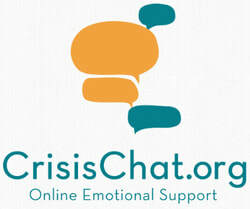 Lifeline Crisis Chat is a joint service of the National Suicide Prevention Lifeline in partnership with CONTACT USA. The service provides online emotional support, crisis intervention, and suicide prevention help. Visitors have space to talk about what they are upset about, exploring feelings and thoughts associated with the crisis. Inclusive, comprehensive, supportive sexuality and relationships info for teens and emerging adults. This site includes articles and information along with interactive services such as message boards and a text hot line. "Totally real. Totally anonymous. Totally yours." TeenCentral.Net is a safe, free, and totally anonymous site that offers help when you need it most. This site covers the topics important to you. A teen-to-teen hotline outreach service. Teens can call, text, or email to connect with a teen who will listen and help. You can also get involved and volunteer to help others. Looking for the next good book to read? Try NoveList Plus Have your Pembroke Public Library card ready to log in. Books and authors for young readers. Have your Pembroke Library Card ready. Great for projects or personal reading! These are winners from Teens' Top Ten (teen-selected novels) to the Printz Award (excellence in young adult literature), and more. The Online Writing Lab for Middle and High school students. Tool to help you with citations, subject-specific writing, and more. An online source for poetry from the Pre-Modern Era to the present. Includes full poems, biographies of poets, resources about literary movements, and more. Editors provide critical analysis of classic and contemporary literature with accompanying study questions and quizzes to support your understanding of the text. With Do Something, young people (25 years and under) are encouraged to make a difference in the world. Stay up-to-date on news relevant to you! Smithsonian sponsors this not-for-profit site that provides articles chosen for K-12 students with topics ranging from arts and entertainment to world news and culture. Learn a language for free through lessons, games, and leveling up. Each language contains reading, listening, and speaking portions; 13 languages available with lessons on your computer or phone! Dependable guidance and research tools on careers and education. Do everything to preparing from practice tests (SAT, GRE, ACT, and more), researching colleges and universities, locating financial aide, building your resume, and beyond. Have your library card ready. Free Application for Federal Student Aid brought to you by the U.S. Department of Education. Filling out the form electronically can be weeks faster than the paper file. A free-to-play game that allows players to donate to charity by answering multiple-choice questions correctly. Study questions are available in humanities, math, language learning, sciences, English, geography, and SAT test prep. Everything you need to know about the Massachusetts Comprehensive Assessment System, the statewide standards-based assessment program required of all students who are enrolled in the tested grades and who are educated with Massachusetts public funds. The official SAT site has test prep and practice resources available to the public as well as registration information. The "Question of the Day" feature lets you get ready one day at a time. You can also explore specific subjects, full practice tests, and study plans. Also available as a free app for androids and Apple products. ​Arcade, action, racing, and more with favorite characters from Cartoon Network. 99% Invisible How design impacts our lives, from sports bras to store logos. How Sound A helpful podcast about making podcasts, says Hickman. Pros share tips on the ins and outs of storytelling, from recording techniques to editing a narrative. Mouthful Young adults tackle complex topics, including eating disorders, stop-and-frisk, and gender identity in these dramatic monologues. WNYC’s Radio Rookies Stories created by teens that may inspire listeners to make their own, says Hickman. Radiolab Think a geeky This American Life with lots of sound effects as host Jad Abumrad explores scientific, musical, and other topics. Hip and approachable. Re:Sound Curated by the folks behind Chicago’s Third Coast Audio Festival, this podcast has audio documentaries and features. Storycorps The storytellers span all generations, allowing teen listeners to tune into other points of view, says Felde. Youth Radio Journalistic stories produced by young people from the Bay Area for teens all across the country. ​*Recommended by School Library Journal's "Prime Time for Podcasts."